Come and explore and picnic in our orchards. Cider, perry, juice, fruit trees & orchard honey for sale. Delicious homemade cakes and hot spiced apple juice in the cosy yurt. 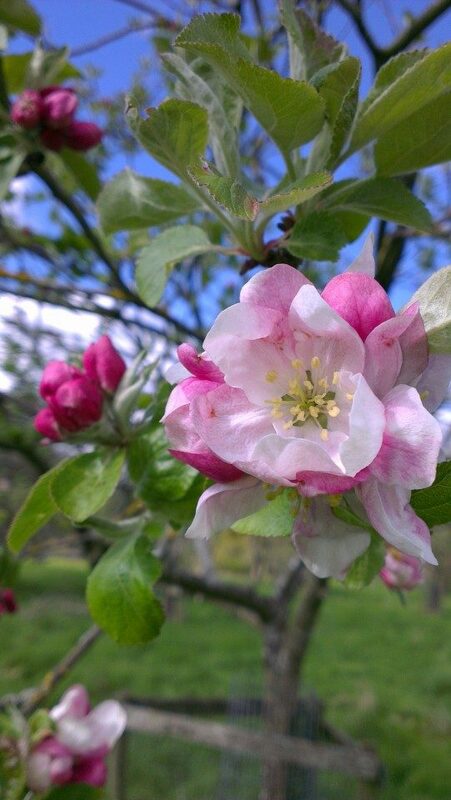 Our juice is made with apples from traditional, mature orchards in Gloucestershire. 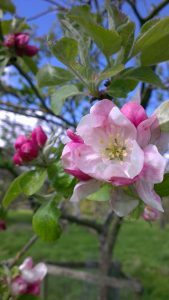 The fruit comes only from unsprayed orchards and dozens of varieties are used, some unique to the county, such as Taynton Codlin, Flower of the West and Underleaves. These give flavours unobtainable from modern commercial fruit, and can be enjoyed as unusual single varieties or as carefully blended juices. No additives or preservatives are used and the juice of over 1kg of fresh fruit fills each 75cl bottle. No sprays, chemicals or artificial fertilisers are used in our orchards, thus preserving their rich and varied wildlife. Our traditional ciders and perry are fermented and matured in oak barrels. Once again, only old varieties are used, including Morgan Sweet and Foxwhelp apples and Brown Bess and Blakeney Red pears. Day’s Cottage Apple Juice was awarded BEST DRINK PRODUCT 2016 at the Cotswold Life Food and Drinks awards. 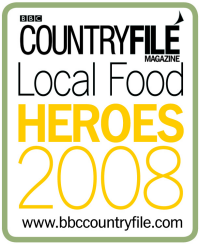 This adds to our collection of awards : Best non-alcoholic drinks Producer 2012 by Taste of Gloucestershire as well as receiving awards from the Campaign to Protect Rural England and Gloucestershire Wildlife Trust for our work and exceptional commitment to traditional orchards and their wildlife.